Show off your love of Studio Ghibli films with this 4-pack of socks featuring Miyazaki characters! The set includes scenes from Howl's Moving Castle, Spirited Away, My Neighbor Totoro, and Kiki's Delivery Service. 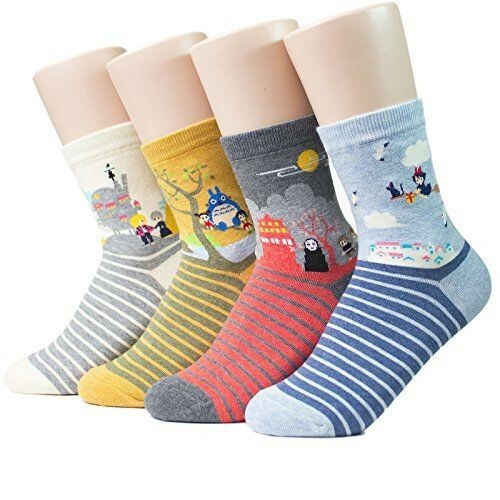 These cotton socks come in one size, which fits most women's shoe sizes 6 to 9. For more fun socks, visit our Sock Collection.